- A metallic tube, with a diameter between 18 and 22 millimeters (0.07 and 0.09 inches) and long enough to allow you to cut two sections both about 35 centimeters long (about 14 inches). 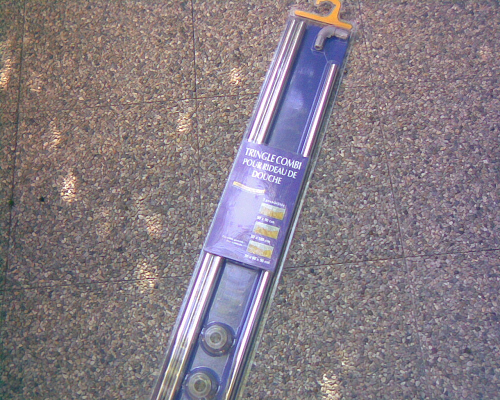 - A metal saw or a tube cutter. - A vice and, if possible, two aluminium or foam pieces. - A drill and a drill bit adapted to pierce metal. - A chain or a rope, as you prefer. 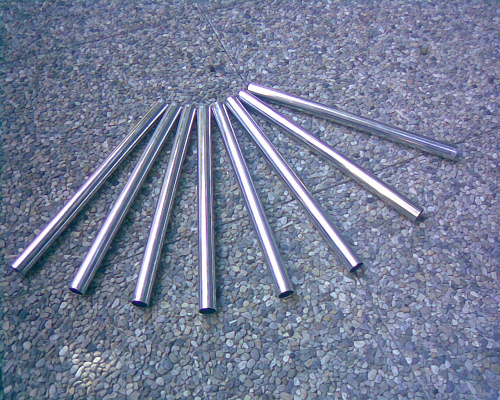 Once you have choosen your measures and your type of metal, put the metallic tube into the vice. It's better to not tight a lot for not leave marks on the tube and to not deform it. 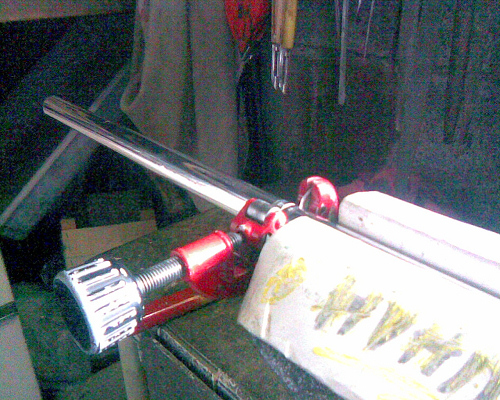 If you have some pieces of foam or aluminium, put them between the stick and the vice, to protect the metal. Once it's correctly placed, cut it at the right measure using the saw or the tube cutter. Now, we have to link these two tubes together, with a chain or a rope.